Please type bottom line. This will be smaller than top text and either be central or moved to the left. Would you like this adding to the bottom right of the frame this will be smaller than all of the other text. 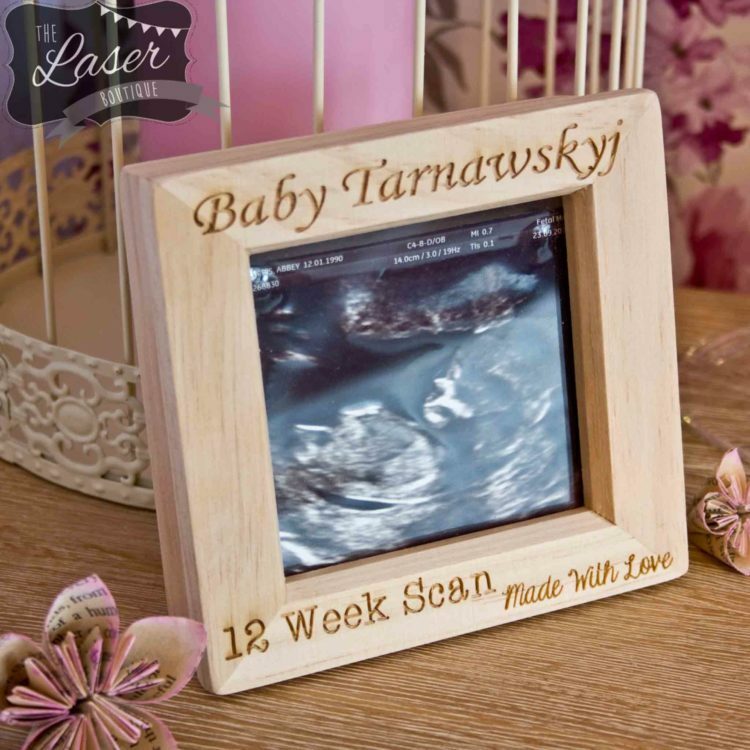 This solid wood baby box frame is perfect for framing that new arrival scan… The frame will hold a 3 x 3 inch image (7.5cm x 7.5cm) the frame is 20mm Deep. 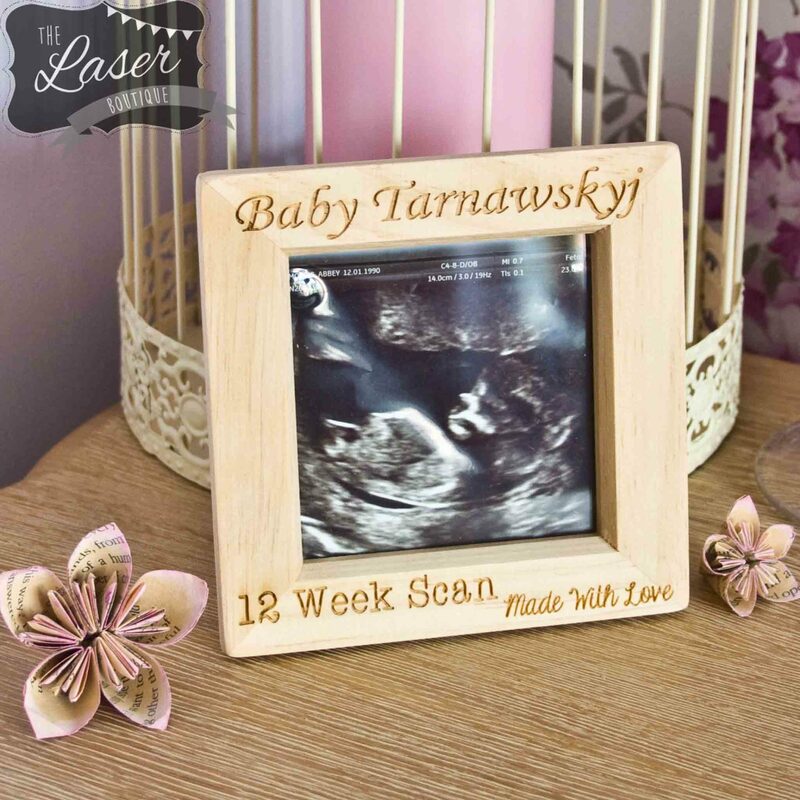 The Design Writing can be customised at the top and bottom with any text you would like. 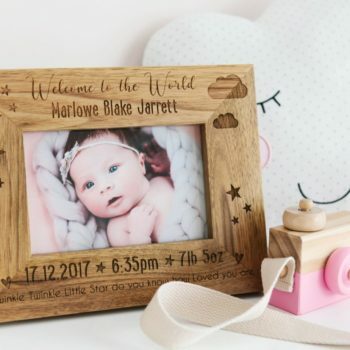 The frame can be hung or stood up.